Steelpillow provide high-level technical consultancy to business and delivery projects, primarily in the IT/ICT sector. We specialise in the interdisciplinary space across business activity, technology systems and project delivery, where systems expertise is vital but a pragmatic appreciation of your business processes is even more so. We also offer a range of traditional skills-based services, such as technical authoring and aspects of system engineering and design. Regretfully, our services are no longer available on a full-time basis. Don't waste millions of pounds on systems that turn out to be useless. Steelpillow can help integrate system delivery into the way you do business and ensure an open path to success. Sofware licensing profoundly affects your business, through your ability to respond dynamically to changing needs. Steelpillow can help you understand licensing models and how to leverage them to your advantage as an IT consumer. Project troubleshooting is anothey way we can help get business systems delivery back on track, even if your call to us comes a little late in the day. A good technical author must not only be a competent wordsmith but must have excellent communication and management skills and an open, positive approach to your needs. If you have no knowledge of IT systems but still need to keep on top of systems delivery in your buisiness, System and Technology Effectiveness Evaluation Levels (STEEL) offers an approach to independent evaluation of a system's effectiveness in a way that business people and managers can apply. 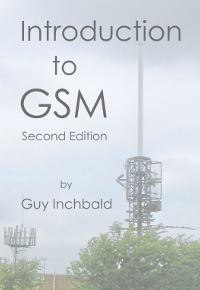 A revised and improved Second Edition is now available, in both print and ebook formats. Please download our flyer (pdf) with further details, or go straight to the Lulu.com purchase page.